I wish all of you a wonderful holiday season this year. 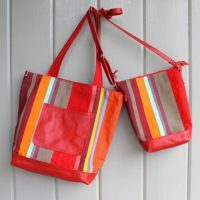 In keeping with the xmas message, here are two new stockings I just finished. 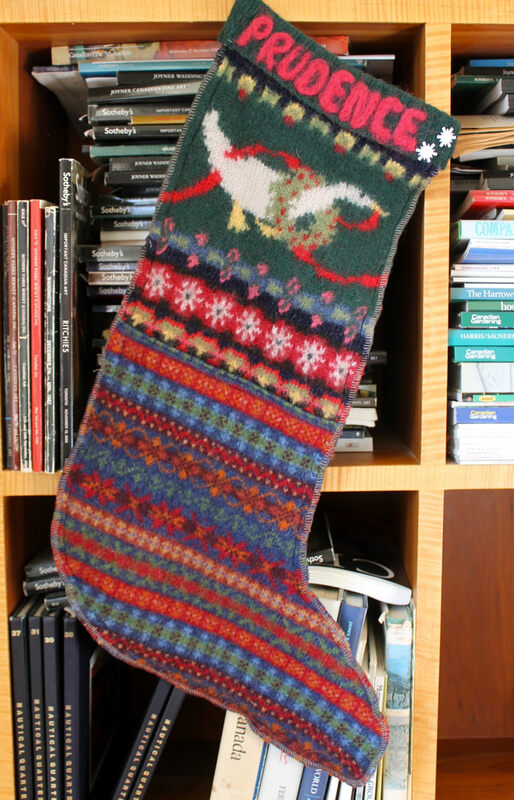 The original stockings were knitted over thirty years ago by my mother for our two sons. I’m afraid I take the easier route and repurpose some xmas sweaters I’ve found along the way. So, I got out the bins, fingers crossed there would be enough pieces of festive sweaters to make two more stockings. 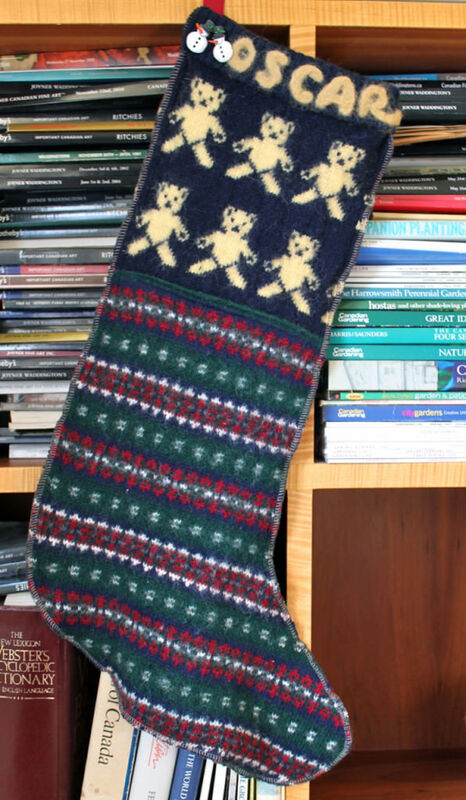 I used the sleeve of the Jenny Ferguson teddy bear sweater you first saw here to make Oscar’s stocking and I’ve saved the other sleeve for a third stocking…we expect we will need it next xmas! And then somehow Pru missed out in the stocking department, so we’ve corrected that for this year. Both stockings are now full of treats and waiting for tomorrow morning. And don’t forget to look for tonight’s Christmas full moon. The weather networks says the last one was 32 years ago and we have to wait another 17 for the next one. Merry Christmas, I love the stockings!